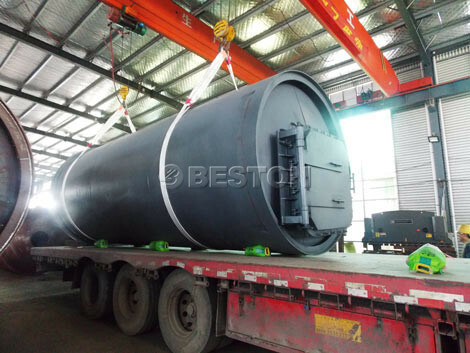 The waste tyre recycling plant supplied by we Beston Machinery is used to dispose of the waste rubber to fuel oil through pyrolysis technology. Waste rubber, especially waste tires, has high utilization value and can provide a large amount of renewable resources for the social. Although waste rubber, including waste tyres, accounted for less than 1% of the total amount of solid waste, it can provide about 10% output for the environmental industry after processing and recycling. To seize the tyre recycling business opportunity, and to make your contribution to the eco-friendly, now! With the boom of economy and the development of society, the shortage momentum of energy is increasing. In recent years, energy has become a major factor to limit the development of each country. So exploring the renewable energy has become an important task. 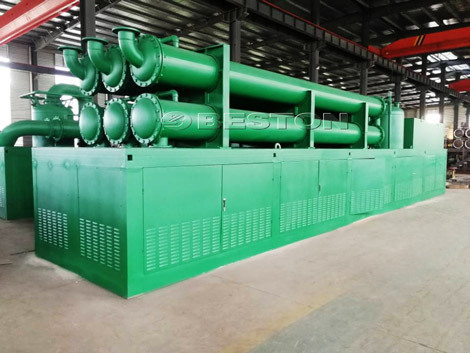 Based on this situation, Beston Machinery has launched the tyre recycling plant, also called tire pyrolysis plant and tire to oil plant, in the market, which can not only turn waste into energy, but also help relieving energy crisis. The tire recycling equipment has been proved to be one of the most profitable methods to recycling tyre waste. 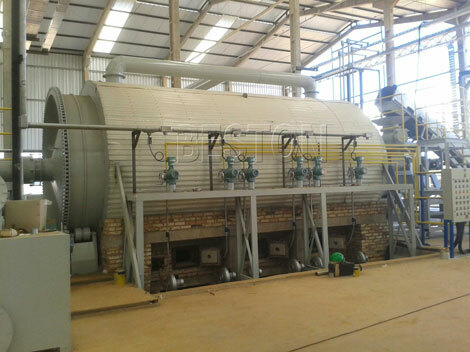 The tyre recycling machine (also named tyre pyrolysis plant for sale) takes advantage of high temperature heating and special catalyst, which can successfully convert waste tyres into oil, carbon black and steel wire. The tyre recycle machine is also suitable for the raw materials such as plastics, rubber, oil sludge, medical waste, etc. Choose The Appropriate Machine and Ask the Price Now! The main oil product of pyrolysis of tires is the fuel oil, about 45% of the final products, can be widely used for industrial and commercial purposes. For wide applications and higher values, the tire oil can be further refined into diesel or gasoline by tyre to diesel machine. Carbon Black is the another product we can get through the pyrolysis technology. The carbon black is about 35% (depending on the types of tyres) of the total amount of the final products. Carbon black can be used as raw material or main ingredient in many industries. Carbon black produced by tires recycling machines is more economical compared with that produced primarily from petroleum. Can be sold directly or reprocessed. Can be recycled to heat the reactor as fuel, which can save fuel energy for the whole production process. 3. Feeding tire pieces into pyrolysis reactor by the sealed screw conveyor. Fire the fuels in the burning room, and the fuels could be diesel, natural gas, LPG. 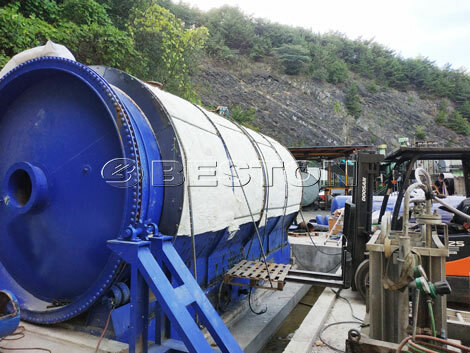 The pyrolysis reactor of we Beston Machinery waste tire recycling plant adopting high technology has long service life time. 4. The hot air will flow into the reactor for heating. When the inner temperature of the reactor reaches the related degree, the oil gas will be generated. Then the oil gas goes into the manifold firstly. In the manifold, the heavy particles will be liquefied into heavy oil and drop in the heavy oil tank. The light oil gas rise up. The damping tank will reduce the oil gas moving speed and then the oil gas goes into condensers uniformly. 5. In the horizontal tubular condensers, the oil gas will be liquefied into fuel oil. A large scale of oil gas will be liquefied into fuel oil and enter oil tank. In the hydroseal, the combustible gas will be desulfurated and cleansed then recycled to the burning room to provide heat, which can save a lot of fuel in the process of pyrolysis of tires. 6. Hot smoke gets out from the reactor through the inner pipe of heat exchange system. Air (oxygen) enters through the out pipe of the heat exchange system. In this process, the air will be heated by the hot smoke, then transferred to the burning room to provide the oxygen. This is the function of the heat exchange system. 7. In the flue condenser, the smoke will be cooled down, then enters the dedusting system. In the spraying tower, the smoke will go through the water washing, water spray, ceramic ring adsorption and activated carbon adsorption. After four filters, the clean smoke can meet the EU environmental protection and emission standards. We are absolutely professional one of waste tyre recycling plant suppliers. 8. The carbon black with steel wire will be discharged by the auto screw discharger. Through the magnetic separator, the steel wire and carbon black will be separated and then transported into the storage tank. 1. Small furnace door design of tyre recycling equipment is more stable and safer. It is equipped with safety valve, automatic alarm system and explosion-proof valve to ensure 100% safety. 2. 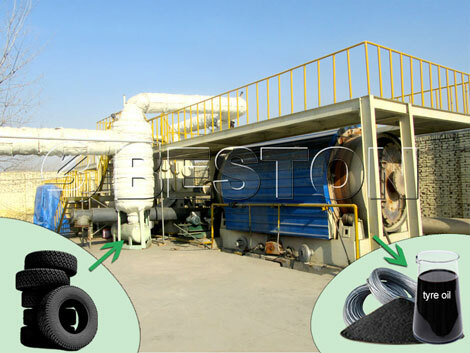 The waste tyre recycle plant adopts high-temperature sealed automatic slagging system that is completely closed. Therefore, there is no dust flying phenomenon on site. 3, safety devices of tyre recycle plant: pressure gauges, thermometers, emergency vent valves, vacuum pumps, safety valves, alarm systems, explosion-proof devices and water seals. 1.The flue tube condenser cools the exhaust gas discharged from the burner to protect the exhaust fan and improve the dust removal effect. The final flue gas discharged temperature is about 75°C. 2.Adopt four-layer dust removal system, after washing, magnetic ring adsorption, activated carbon and water spray, exhaust gas will be purified to meet European pollution control standards. 3.The non-liquefiable gas that is purified by the water seal will reheat the main furnace, which will save 30% of the fuel. e. With mature production technology to guarantee the quality of tire recycling plant. 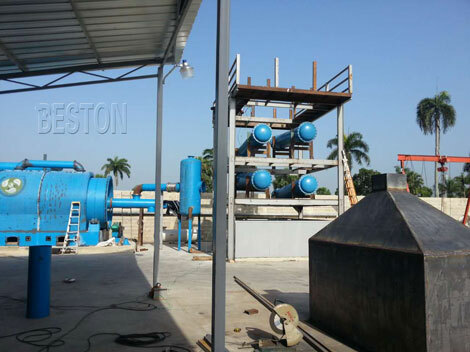 As a professional and excellent waste tyre recycling plant manufacturer, Beston Machinery promises you that we will try our best to help you start your tyre recycling plant business plan. If you have any quiestion about the project, please contact us right now. 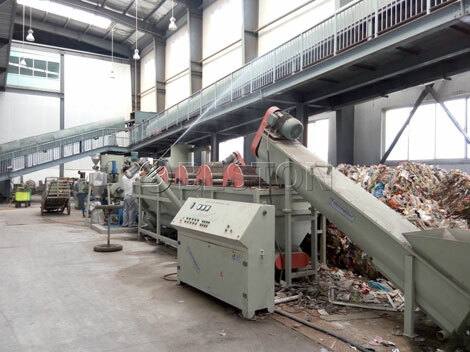 Moreover, you can start the plastic recycling business with our high quality plastic recycling machinery. There is no doubt that cars have become an important part of our daily life activities. More and more cars mean that more and more waste tyres are coming along. So a proper method of recycling waste tyres is critical. The waste tyre recycling machine manufactured by Beston Machinery is capable of disposing any type of tyres and processing them into fuel oil. 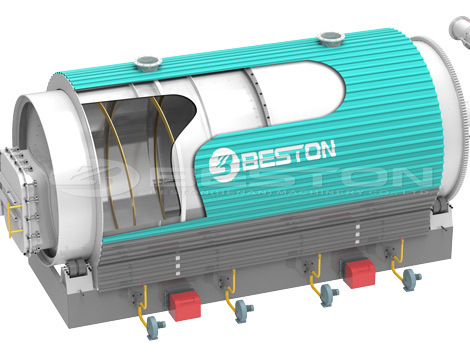 We Beston Machinery also has all kinds of biomass carbonization plant and waste sorting equipment for sale.